Have you been chosen to administer a trust near Tracy and Manteca? If so, you need an attorney who is experienced in estate planning. Being appointed to administer a trust may seem daunting, and there are many tasks you will need to perform. It is your responsibility to work with a lawyer to ensure your loved one’s last wishes are exactly fulfilled. Remember, estate administration is a legal matter, and estate law can be complex in this area. Administering an estate after a loved one’s death requires the assistance of an estate planning attorney. Your lawyer can provide as much or as little guidance as you need to make sure you fulfill your duties. For example, many people have little or no experience with trust administration. If the deceased’s assets are complex, or if you have personality issues with the noted beneficiaries, you may need additional help. 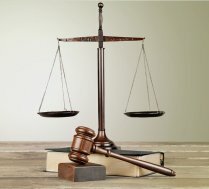 An attorney can play a neutral role. Most importantly, your lawyer will make sure that you do not make a mistake and cannot be held liable during the trust administration process. If you are estate planning near Livermore and Tracy , you may feel overwhelmed by the process. However, estate planning is essential to mapping out your financial future. With the right lawyer to explain the intricacies of estate law, the process is much simpler and more efficient. Because so much confusion surrounds the concept of estate planning, it is important to dispel some commonly held misconceptions. Read on to learn why some myths you may believe about estate planning are just not true. Estate planning is important for any individual who wants to have their final financial wishes respected. The myth that estate planning is only for the rich likely comes from the idea that some attorneys focus on the estate tax, which only comes into play when your assets surpass $5 million. But estate planning is about much more than avoiding this tax. Estate administration involves making sure your health care wishes are carried out and your children are taken care of. Lawyers advise even young clients to begin the estate planning process as soon as possible. Unfortunately, accidents and early deaths do happen. While you might not want to consider the possibility now, meeting with attorneys to create a plan for estate administration is the only way to truly know that your last wishes will be respected. As your attorneys will advise you, a will is essential for ensuring that your money is distributed according to your wishes. If you pass away without creating a will, your state’s laws of intestacy will apply to determine how your assets are allocated. However, your money will not be donated to the state. If you want to make sure your financial resources go to certain people, especially if you have children or close relatives, you need to hire a will lawyer. Estate law in Tracy and Manteca is complex, and only an attorney with experience handling wills and trusts can make sure your finances are protected. Along with a will, a trust is the most important part of an estate plan. In general, a trust is a legal document that you can use to direct how your personal assets will be managed during your life and distributed after your death. Read on to learn more about different kinds of trusts, including revocable trusts, irrevocable trusts, and credit shelter trusts. 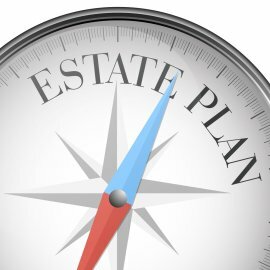 In estate planning, a revocable trust is an entity into which you and your lawyer will transfer your assets while you are still alive. Assets that can be transferred include your home, other real estate, automobiles, stocks, bonds, and securities. A revocable trust has at least two phases: a period that covers the time during which you are alive, and a period that covers the time after your death. With this kind of trust, some assets will be distributed while you are still alive, which is why lawyers also refer to it as a living trust. The grantor may change the terms of the trust or take property back at any time. Unlike a revocable trust, an irrevocable trust is a trust with terms and provisions that cannot be changed by the grantor. A lawyer may suggest you opt for an irrevocable trust because it allows you to minimize estate tax, protect your assets from creditors, and provide for family members who are minors or have special needs. To create an irrevocable trust, you will need to name a trustee who holds and distributes property according to the terms of the agreement. Lawyers also refer to credit shelter trusts as a bypass trust or a family trust. With this kind of arrangement, you write a will bequeathing an amount to the trust up to but not exceeding the estate tax exemption. After that, the rest of your estate is bequeathed to your spouse tax-free.